Every generation has complained about the habits and technology of younger generations. Malesherbes, a French statesman, thought that newspapers isolated readers in contrast to the “spiritually uplifting” group practice of getting news from the pulpit. In 1936, people complained about the radio, saying that it distracted children from their schoolwork. It’s no surprise when that the same has happened to computers and now smartphones. The difference, however, is that smartphones are much more pervasive than previous technologies, and disruptive in social interactions with other people. You’ll never see someone pull out a book and start reading it while in the middle of a conversation with someone, or turn on the radio or music player in a work meeting, and people don’t carry their TVs with them to work or school, but all of these things happen with smartphones. Fortunately, there are many new products recognize these unhealthy trends and are trying to bring us back from the precipice. Some of them focus on getting us outside, some help with forming better habits, and others are just a simple way to unplug from our devices. The following are examples of several new products that are helping us to be happy, healthy, and unplugged. UX designers would be wise to brush up on fundamental design principles and jump right in. There has been a growing trend of kids spending more and more time indoors in the last two decades. In fact, adults spent over 200+ more hours a year outside when they were children than today’s children – that’s enough time to learn a new language or become a yoga instructor! Because of this alarming trend, there have been several apps created to encourage kids to spend time outdoors and thinking about nature. Ranger Rick’s Ubooly Outdoor Adventure Campaign was created by Ubooly in conjunction with the World Wildlife Federation. The app can be played on a smartphone or tablet, which is then placed inside the Ubooly toy. The Ranger Rick app takes them outdoors to explore different parts of nature through scavenger hunts, nature hikes, and mindfulness games. Kids also get to make collages, drawings, and paintings based on their outdoor adventures. Wuxia the Fox, on the other hand, takes a very different approach. The story is about a dystopian world, filled with cyborgs that have taken over, talking animals, and two adventurers who must seek out a way to bring back people’s ability to dream. The book is paired with an app, and together they encourage kids to think about the environment and nature through the story’s message. This project also encourages reading, imagination, and makes for great family bonding time. Plum’s Photo Hunt is fairly basic, but encourages kids to get outdoors by taking photos of items and places in nature. It also allows kids to upload these nature photos to the PBS Kids site and share them with others there, creating an interesting social element for the app. These apps still result in kids being plugged in, but they also spend time looking around, playing outside. Ultimately, apps in this category may encourage kids to leave the phone or tablet at home the next time. Pokémon Go had a surprising, positive effect on many people who have mental health issues, such as Depression and Anxiety. There were reports of people leaving their homes for the first time in ages, interacting with friends and strangers, and their moods subsequently improved. It’s been shown in many studies that getting exercise is good for mental health, but one obstacle has always been getting people who are depressed to gain the motivation to exercise in the first place. Games like Pokémon Go make going out feel less like exercise and more like fun. Pokémon Go also encourages interaction with other players in a very friendly, neutral manner, making anxious players feel at ease in public. Hopefully, now that this has been discovered, other games will take up the mantle and continue to encourage people to get out of their homes and be active with other people. There are lots of people that would love to be up early, running like so many other healthy, active people, but they can’t seem to motivate themselves to do so. But what if they were being chased by dozens of hungry zombies? That’s the premise behind the extremely popular Zombies, Run! Game app. The scenario is that you are a runner gathering supplies and rescuing the last surviving members of the human race from horrible zombies. The app tells you when to walk, jog, or run away from zombies pursuing you, and can be set to different difficulty settings so you can keep up, no matter what your fitness level is. Feedback on the game has been positive, and people have commented that they run more as a result of the game than they would without the imagined threat of zombies chasing after them. From a UX standpoint, this is a great example of good user experience design. People use the app frequently, but it encourages healthy habits, and it’s unobtrusive- one only uses it when they have the time and energy. Creating more apps in this category would help mitigate the negative effects of apps on physical health. When it comes right down to it, users spend far too much time glued to their phones– Americans collectively check their phones 8 billion times per day! Whether it’s emails and text messages coming in, looking up information on an event they want to attend, or checking their social media feeds, there is always something to look at online. It’s not enough to say ‘Put down that phone’ – if someone is addicted to the constant flow of online information, a phone and its contents will always be on the user’s mind. Flipd offers a solution to this. Flipd is an app that was created by two Ryerson alumni to help curb people’s smartphone habit in increments. When you signs into the app, it allows you to choose a length of time in which it will stay ‘locked’. While it is locked, users cannot access any apps on their phone, and notifications can be silenced (although they still appear on the screen). Many people can’t shut off completely, but it’s much more manageable to unplug when one has the option of choosing a length of time to do so. There is a 60-second unlock option in case of emergency, so you don’t have to sacrifice anything essential for this unplugging. Users can also track how much time they’ve spent unplugged from their phone over time. It’s been used in classroom settings, work environments, and study groups to keep people undistracted. Build in features that encourage, not force, the users to look up from their device, whether it is checking in with real people, going outside, or moving into a different space. 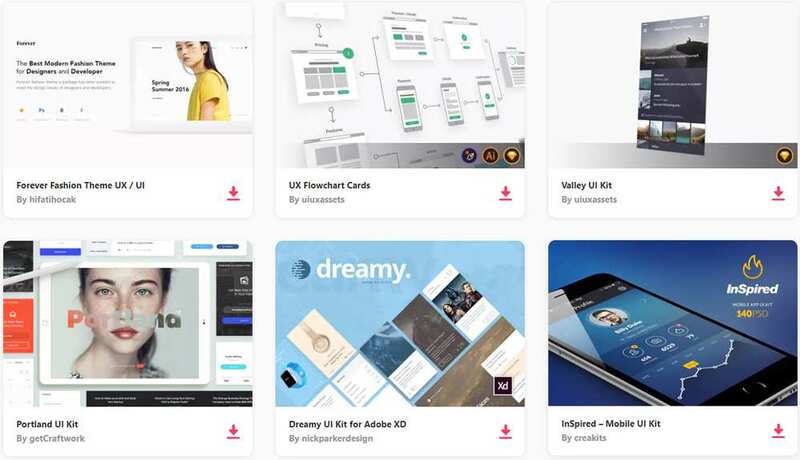 Learn fundamental UX practices whether in free learning paths or online workshops so that you can relate these fundamentals with the notion of building apps that unhook people from technology. Break up tasks in the app or program into smaller chunks so that the user is never focused on one task for too long at a time. Encourage users to take breaks from their tasks in gentle ways – include timers on tasks, images of the outdoors, and pop-up messages that mention stepping away from their desks, tea breaks, and conversations with people. Use positive reinforcement when users accomplish tasks or build up good habits. Flipd, for instance, lets people know how much time they’ve spent disconnected from their device. If possible, consider rewards for good behaviour.